Indonesia is a vast and fascinating archipelago with a population of almost 230 millions. It comprises of 33 provinces and +17,000 islands, 6,000 out of which are inhabited. Its capital city Jakarta (est. 10-12 million) is located on the island of Java, which itself is home to more than 3/4 of the entire Indonesian population. 90% of Indonesia’s population is Muslim, which makes it the largest Muslim nation in the world. International Monetary Fund estimates Indonesia’s Gross Domestic Product (GDP) based on purchasing-power-parity (PPP) per capita to be $4,668.068 for 2011 – placing it on 15th position internationally. Economic Review predicts that in 2012 Indonesian economy will be the fastest growing among the countries of the Association of Southeast Asian Nations, with a predicted growth rate of 6.5% to 6.9%. 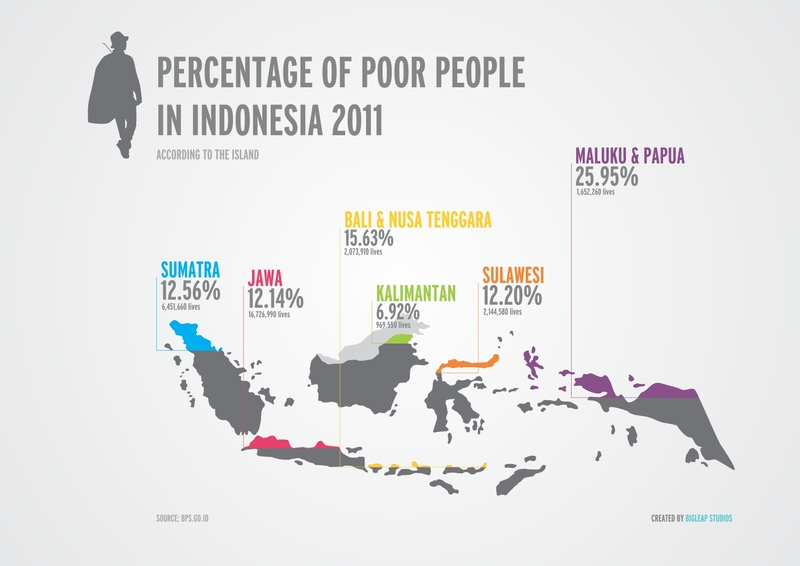 Nevertheless, the wealth tends to be concentrated on Java while 70% of the population continues to live in the rural areas (source: Rural Poverty Portal).